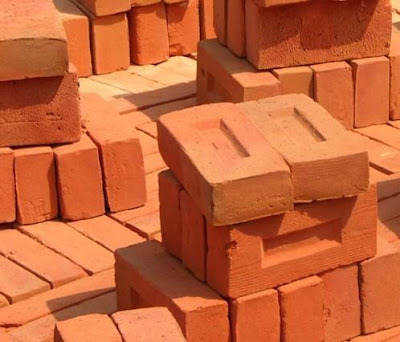 Description: Clay brick is one of the oldest building materials used by man. There are number of advantages of clay due to which it can be used in architecture work. OPINION. Clay is a material that predominates in the soils of our country. By taking advantage of such noble and cheap raw material, we have achieved a long experience in the manufacture of products that satisfy many of our needs. The best known: vases, multiple adornments, jars for the conservation of liquids or planting of ornamental plants, bricks, tiles that provide great freshness to our homes and now, fortunately, clay blocks for our buildings. These blocks had disappeared for decades from our perspective, since the closing of the companies that produced tiles, bricks, clay blocks, clay tiles and tiles. The clay blocks offer several advantages over the cement ones: they are 40% lighter, what saves weight to the structures and costs in the ascent of materials, notably less absorbent of the warmth with which nature distinguished us and, what is much more important and must give us great satisfaction, its use reduces in appreciable amounts the extraction of sand of our punished beaches, activity that has produced ecological damage maybe irreparable and that are noticed in the beaches of Punta Chame, with anguished descent of the sand levels. I am worried because unfortunately our builders do not worry about the proper placement of clay blocks, despite published articles on the advantages of yields that are achieved with the installation of the blocks with the holes in horizontal position, which offers the structures greater stability, lower consumption of mix and greater adhesion of the repello by the slots that the block brings. In summary, greater productivity. This issue of productivity seems to matter very little to our contractors, contrary to the interest that the issue arouses in the countries of the south. I must confess that also, for about 20 years, I was building with blocks of clay, placing them face up, without warning that to lock them in half, that is to say when placing the second course of each wall, so that each new block rested in half on two blocks of the lower line, at least half fell through the holes and the rest was almost completely wasted, the divisions of the upper block did not coincide with those of the first row. The placement of the mixture on the edges of the divisions ended up being an act of juggling of the mason. Pity that in our country is not popularized the use of bricks in buildings. This noble material is a product that requires little maintenance. Colombian architecture, which has been internationally praised for its high quality, is characterized by the abundant use of this valuable resource that allows them to maintain a beautiful presentation and appearance in their buildings, in contrast to our buildings that, shortly after having been painted, they present an aspect of carelessness and filth, which detracts from our cities. I wish the brick makers produced them en masse; this would make their prices cheaper and make them more attractive for the Panamanian market. Of course, the promoters of the blocks of clay have their own little lie: They are up to eight degrees centigrade cooler! Do not believe everything you hear. Strength: One of the best and utmost advantages of concrete blocks is their strength. When correctly assembled, these units provide an even sturdier foundation than poured concrete. Concrete blocks are opposed to fire and earthquake damage and can be reinforced to withstand other environmental factors as well. While extreme temperatures, moisture, termites, and other problems might plague less flexible construction materials, these issues won’t have a negative impact on your concrete blocks. With such a high level of durability, concrete block structures can last for hundreds of years.